Experience the wildlife of Whiteman Park on an evening tour of Woodland Reserve. Woodland Reserve is a protected habitat for rare and endangered WA fauna within Whiteman Park. You can experience the unique bushland habitats of the Reserve, and see its wildlife in action on this fantastic guided tour, just 20 minutes from the Perth CBD! 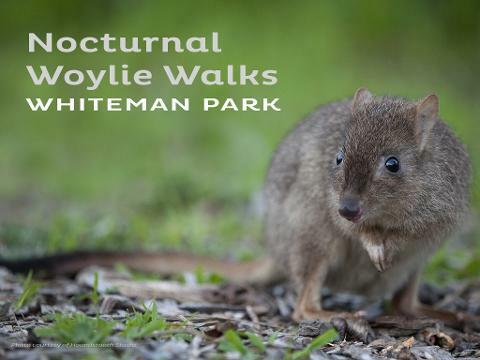 Led by one of our knowledgeable volunteer guides, you’ll explore the Reserve habitats by torchlight, see native fauna in their natural environment and learn about what Whiteman Park is doing to help the critically endangered woylie. 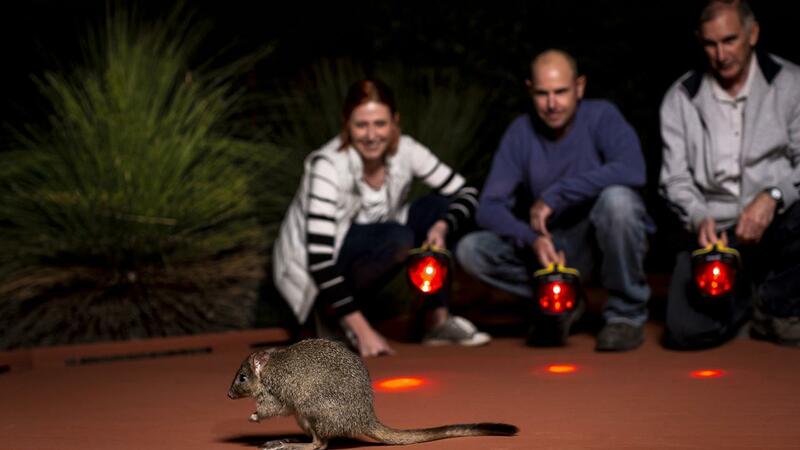 Thanks to the special night-lighting, you’ll even be able to see woylies and quenda feeding close to your feet! The Reserve is home to many other species too, including the short-beaked echidna, bush-stone curlew and even some Tasmanian-native sugar gliders. The funds from your tour fees go towards the upkeep of the Reserve and its inhabitants. Note: Participants should have a moderate level of fitness to enjoy these tours. Tours proceed subject to weather conditions.